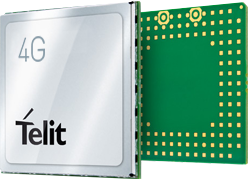 Telit has launched a series of five dedicated single-mode LTE modules for the Internet of Things (IoT). The IoT-optimized LTE modules are compliant with the newly approved Release 13 standard set by the 3GPP, the collaborative standard setting body for cellular technology. They will begin sampling later this year with commercial availability set for early 2017 to meet US operator launch schedules. Cat M1 and NB1 standards were devised to address specific needs of IoT applications, offering optimized power consumption and enhanced coverage. The new portfolio is being fast-tracked to address the pressing need in the US market for migration paths away from 2G as well as strong global demand from the industry for Cat M1 and NB1 modules to enable of a wide variety of brand new product concepts. The new LTE UE Category M1 modules offer peak downlink and uplink data rates of 1Mbps. This generation of enhanced machine type communication (eMTC) products support power saving mode and extended discontinuous reception (EDRX), which together allow the module to wake up periodically, exchange small amounts of data with the network and return to sleep, providing for years of battery life. The NE866 for the European market is a 3GPP Release13 eMTC product capable of delivering long battery life of ten years or more while offering peak data rates of 250Kbps downlink and 20Kbps uplink. The ME910 modules are optimized in cost, size and power consumption to be applied as direct drop-in replacements in devices already designed for the GE910, CE910, UE910 and HE910. They are part of the popular xE910 form factor, the company’s most versatile and comprehensive product family and the only in the market to include the full range of cellular technologies (GPRS, UMTS, HSPA, CDMA, EV-DO and LTE CAT-x). ME866 and NE866 modules are drop in replacements for 2G and 3G members of the 15mmx25mm and 15mmx19mm xE866 miniature IoT module family, ideal for devices with stringent size constraints. Dual-mode variants of the xE910 M1 family are planned for release in short succession to address regional requirements like GPRS fallback for Europe and Voice over LTE (VoLTE) for North America. The modules use software from deviceWISE to make it easy to add them to a network and send data to the cloud, customer apps, back-end systems and servers. eWBM is looking to gain a foothold in the competitive market for microcontrollers for the Internet of Things (IoT) with two factor authentication technology. Two factor authentication is more common for websites and apps, using a separate mobile phone number to confirm logins and changes. Designing the technology into a microcontroller gives IoT node and system developers more security options at a time when cybersecurity is a key issue. ST and Atmel (now part of Microchip) are both pushing their IoT security solutions. "With the increase in IoT security breaches, we needed to collaborate with a proven IP provider to deliver a microcontroller with superior security capabilities," said Stephen Oh, CEO at eWBM, a fast growing Korean fabless semiconductor company delivering cutting-edge technologies for both IoT and image processing devices. 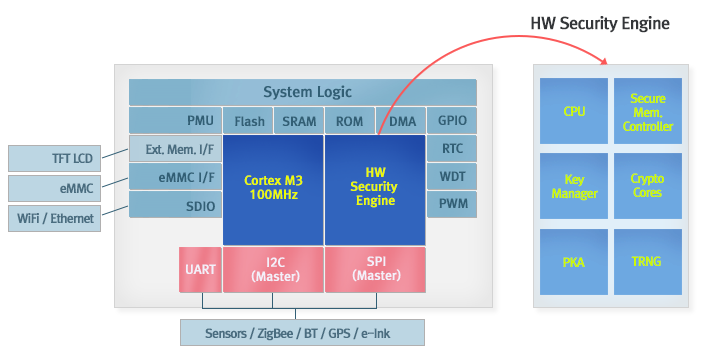 The company, little known in the West, is creating new concept of system-on-chip (SoC) products targeting wearable devices, smart metering, and home automation with security as the key factor. Its MS1000 32bit microcontroller integrates a combination of DesignWare Security IP from Synopsys to perform secure boot, secure authentication, real-time integrity monitoring, secure storage for management of keys and other sensitive information, and hardware acceleration. The DesignWare tRoot Secure Hardware Root of Trust provides the security functions for Trusted Execution Environments, which enable connected devices to securely start up, identify, authenticate and communicate. Alongside an ARM Cortex-M3 core, the MS1000 has a separate CPU for security processing, which maximizes its security capabilities such as secure boot, real-time integrity monitoring and protection for side-channel attacks without compromising the performance of the main CPU. It also contains an embedded cryptographic hardware accelerator which improves the speed of encryption and decryption for secure communication protocols and secure data storage. 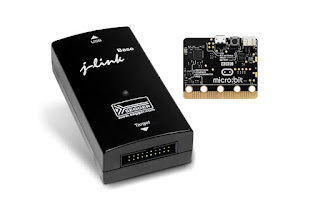 By using the standards-compliant DesignWare Security IP, eWBM achieved Fast IDentity Online (FIDO) universal two-factor (U2F) certification for the microcontroller, demonstrating a robust single-chip solution that protects data from external attacks without requiring peripheral components. "Synopsys was the only provider offering a comprehensive portfolio of security IP solutions that enabled us to implement the required hardware-based security features," said Oh. "It took only days to integrate and enabled us to deliver a robust, certified security microcontroller on schedule. Due to our success using the DesignWare IP, we immediately chose Synopsys for our new MS500/MS300 microcontrollers, and we expect the high-quality, widely deployed DesignWare IP to continue to meet our design needs." "Currently we are working on developing Bluetooth security modules, IoT bridge modules, and gateway solutions with global partners, and also developing platforms for home automation, smart automotive, smart metering systems, FinTech, and many other applications with domestic and foreign solution companies," he added. The DesignWare TRNG IP provides standards-compliant, high-quality true random numbers that are crucial elements for security standards and protocols. The TRNG is fully digital and combines a whitening circuit with a noise source that provides automatic seeding of the random number stream. The configurable DesignWare Security Protocol Accelerator (SPAcc) reduces bus traffic and offers increased throughput by supporting efficient data sequencing as well as parallel processing of encryption and hashing cryptographic operations. The embedded industry is reaching 'peak IoT'. The second quarter of 2016 saw incumbent tech companies pursue multiple transformational big-ticket deals according to the latest figures from EY. At the same time, private equity (PE) buyers set an all-time value record, and, a key indicator, non-tech buyers nearly doubled their value year-over-year while Chinese buyers already surpassed their full-year 2015 value level. In all, 2Q16 was the third-highest-value quarter ever, with more deals at or above US$1 billion than in any previous quarter. The dramatic increase in non-tech companies buying up IoT, cloud and big data companies is reminiscent of the boom times of the semiconductor business where Chinese clothing conglomerate Nanya and even Coca-Cola were looking to invest in fabs. At 1,039 deals, 2Q16 volume rose 4% sequentially and 2% year-on-year, driven by IoT activity. So far this year, 2016 has seen 2,041 deals, 2% ahead of 2015’s post-dotcom-record pace (only the year 2000 had more deals). The non-tech-buyer volume rose 28% year-on-year to 159 deals, and the value jumped 95% over 2Q15 to US$21.3 billion. 2016 now leads 2015’s non-tech-buyer pace by 27% in volume (306 deals vs. 241 in 2015) and 25% in value (US$38 billion vs. US$30.5 billion). Digital transformation from cloud, mobile, social and big data analytics technologies motivated high-value dealmaking in 2Q16, helping 2016 to nearly catch up with 2015’s record pace — despite equity market volatility that has often derailed dealmaking in prior years. Though both quarters round to the same US$127.2 billion in disclosed value, 2Q16 bested 2Q15 by US$55 million, only 4Q15 (US$189.8 billion) and 1Q00 (US$228.4 billion) posted higher values. Big-ticket deals: With 28 deals at or above US$1 billion, 2Q16 blew past the prior record of 20 such deals (set in 4Q15). Three deals rose above US$5 billion, including one megadeal over US$25 billion. PE buyers: US$25.7 billion in disclosed-value tech deals by PE buyers made 2Q16 the highest-value PE quarter on record — by only US$85 million. And with 95 deals, it’s the second-highest-volume PE quarter, falling just shy of 3Q10 (99 deals). China: Chinese buyers recorded their highest-value tech quarter ever with US$32.3 billion in disclosed-value deals. It brought their YTD total to US$47.4 billion, which already is 19% ahead of their entire 2015 value of US$39.9 billion. billion, including two with Chinese buyers. The number of deals driven by Internet of Things (IoT) and big data analytics technologies increased at a faster pace than all others for both 2Q16 and YTD, well above the single-digit pace of overall global volume increases. IoT volume rose 28% YOY for 2Q16 and 26% YTD; big data analytics volume rose 13% for the quarter and 29% YTD. In all, 6 of the 10 deal-driving technologies saw 2Q16 volume increases, the other four being cloud/SaaS, health care information technology (HIT), gaming, and payments and financial services. Large incumbent tech companies pursuing transformation drove the biggest disclosed-value deals of 2Q16, but the quarter encompassed a diverse array of disruptive technology targets — and most of those appeared among the 28 big-ticket deals. Showing the close link between the Internet of Things and the next generation of cellular technology, ZTE has signed a strategic cooperation agreement with China Unicom, the major Chinese operator. The two will work together to develop cooperative projects and conduct research on application scenarios, product demands, service applications, market development and other related fields. They will also look at possible future directions of 5G and IoT, looking at reserch into network development and evolution requirements for new business models. In 5G, both China Unicom and ZTE will focus on research and investment in 5G network architecture, Mobile-Edge computing (MEC), cross-layer optimisation, bearer and other key 5G technologies to promote 5G development strategies and standardisation. In IoT, both parties will research and verify key IoT technologies and implement research and development of service solutions and products to promote technological development and industrial cooperation. ZTE is a long-term partner of China Unicom, and the agreement is for research and development (R&D) and technologies, aiming to take a leading position in the industry. In addition, China Unicom will call upon other operators to jointly promote future network development, technological research and business models. A research group in Japan has developed new electronic displays that can be cut into any shape with scissors. Led by Masayoshi Higuchi, the Electronic Functional Macromolecules Group at the Research Center for Functional Materials in Japan used a polymer with electrochromic properties that can be sprayed onto a flexible substrate to form a coating layer stable against moisture and oxygen. The new display requires only a few seconds of electrical input to switch visual information, and the display will last even after power supply is discontinued, making it suitable for low power IoT applications. The next stage is to increase the display area and make it capable of showing multiple colours. The team is also working on a way for people to freely change the colours of various objects/items, e.g. windows, the interior or exterior of motor vehicles and buildings, umbrellas and sunglasses, and can display letters and symbols as appropriate. Texas Instruments (TI) has launched a multiport USB Type-C and Power Delivery (PD) minidock reference design that provides audio, USB data, power and video support in half the footprint of previous implementations. This new reference design can be powered by a traditional power adapter, USB Type-C adapter or notebook computer, offering end users flexible, intelligent functionality. The reference design provides a fully tested, verified plan for a 2- by 4-inch dock, at least 50 percent smaller than existing docking solutions. At the core of the USB Type-C and Power Delivery Minidock with Video and Charging Support Reference Design (TIDA-01243) is the TPS65982 USB Type-C and PD controller. The TPS65982 enables dual-role port USB Type-C functionality, capable of delivering 60 watts of power and supporting DisplayPort Alternate Mode and USB data transmission. In addition, the design uses the TPS65986 USB Type-C and PD controller, HD3SS3212 SuperSpeed multiplexer, TUSB321 dual-role port controller and HD3SS460 Alternate Mode multiplexer, which work together to provide dual-role port capability for power, data and video transfer. The design allows for autonomous PD negotiation for both source and sink, eliminating the need for an external microcontroller and by combining the highly integrated TPS65982 with other USB Type-C components in an optimized circuit, the minidock reference design allows engineers to develop up to 50 percent smaller docking stations. The minidock also supports USB 3.0 or 4K resolution video and digital audio through various output options with DisplayPort and HDMI. All the chips in the design are compliant with the current USB Type-C and PD standards, simplifying and speeding engineers’ design cycles. The design also combines the complete solution of TI USB Type-C and PD-compliant ICs, including port controllers, data multiplexers, DC/DC converters, load switches, field-effect transistors (FETs), signal conditioners and circuit protection, easing product selection and purchasing during design implementation. The minidock TI Designs reference design (TIDA-01243) is now available for download. Additionally, an evaluation module allows designers to quickly evaluate and implement their minidock designs. The USB-CTM-MINIDK-EVM is available today for US$499 from the TI store and authorized distributors. Securing the Internet of Things is a key challenge that is vexing many designers.Developing a secure end-to-end solution all the way to the cloud can be extremely challenging with lots of different hardware and software involved. Often the IoT node developers leave this for the gateway, leaving the end points vulnerable. This is why the Embedded Blog has focussed not only on the hardware and software of the embedded node, but the links up to, and through, the cloud such as crypto accelerator cards - Kalray Launches Krypto128 Accelerator Card. 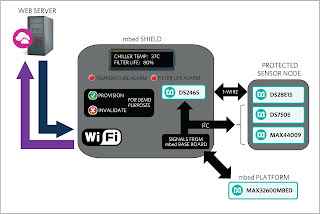 So Microchip's launch of an end-to-end security IoT module that connects directly to Amazon Web Services IoT (AWS IoT) is highly significant. Microchip used its acquisition of Atmel to work with AWS to use the AWS mutual authentication IoT security model. This should help companies to implement these security best practices from evaluation through to production. The solution adds a high level of security, simplifies the supply chain, and is now one of the fastest ways to connect to the AWS Cloud. Currently, third-party manufacturers of devices that connect to AWS IoT service must take specific actions to comply with the advanced security model. First, they must pre-register their security authority to AWS servers in order to establish a trust model. Second, for each IoT device they must generate unique cryptographic keys that are mathematically linked to the pre-registered security authority. Finally, the unique device keys must remain secret for the life of the device. In volume production, the generation and secure handling of these unique keys can be a daunting challenge in the chain of manufacturing especially where third-parties with different trust and compliance levels are involved. All of this is a bit of a nightmare, to say the least, and one key reason why IoT security has been such a big issue. Instead, the AT88CKECC development kit will allow customers to meet the security standard of AWS’ mutual authentication model and easily connect to the AWS IoT platform during the evaluation and engineering phase. Then the AWS-ECC508 device assists with meeting security standards during the prototyping and pre-production phase. Finally, devices will be customised for production stages to ensure information security in customer applications. Customers simply solder the device on the board and connect it over I2C to the host microcontroller which runs an AWS Software Development Kit (SDK). Once this is complete, there is no need to load unique keys and certificates required for authentication during the manufacturing of the device as the AWS-ECC508 is pre-configured to be recognised by AWS without any intervention. All the information is contained in a small (3x2 mm), easy to deploy, crypto companion device. 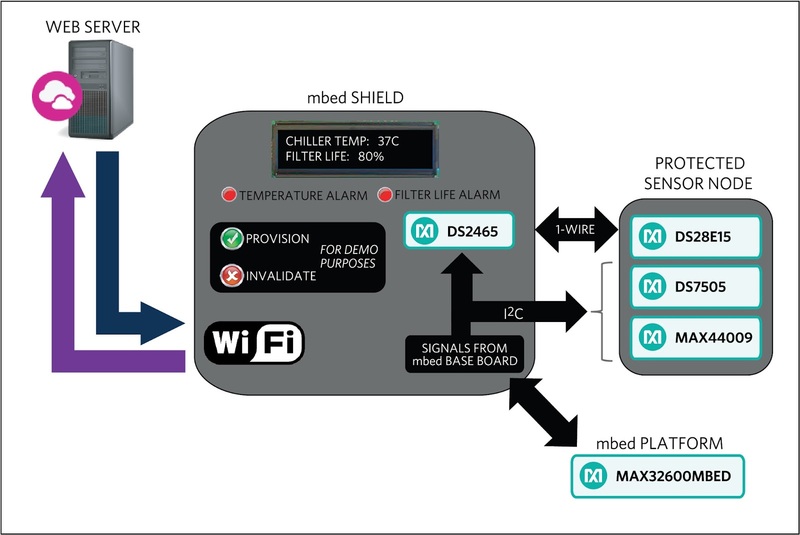 The ECC508 device has strong resistance against environmental and physical tampering including countermeasures against expert intrusion attempts. In addition, the device features a high quality random number generator, the internal generation of secure unique keys and the ability to seamlessly accommodate various production flows in the most cost-effective manner. A typical IoT device consists of a small 8-bit microcontroller, and is battery powered. It is typically constrained for resources such as central processing unit (CPU) performance to provide low latency responsiveness, memory and code space for security protocols and for how much power they consume in order to preserve battery life. 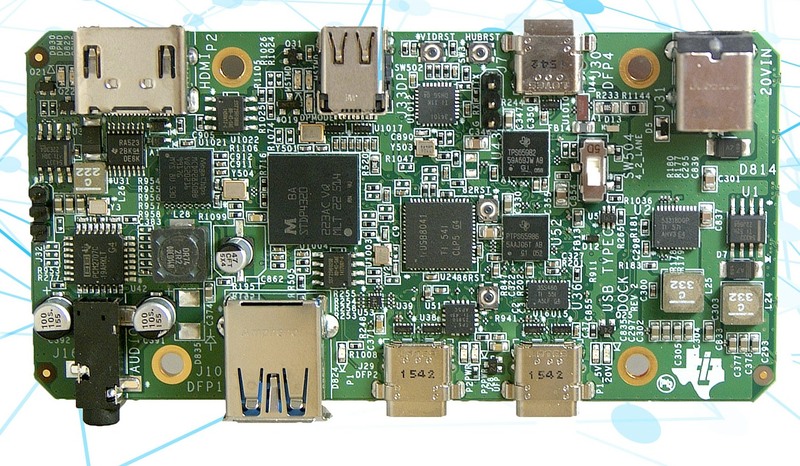 The ECC508 device has a low-power processor-agnostic cryptographic acceleration for compatibility with the widest range of resource-constrained IoT devices. The AWS-ECC508 kit (AT88CKECC-AWS-XSTK, above) is available today priced at $249 each. The AWS-ECC508 (ATECC508A-MAHAW-S and ATECC508A-SSHAW-T) is available in UDFN and SOIC packages and is available today for sampling and volume production. French chip designer Kalray has moved into the data centre market with a programmable accelerator for high speed encryption. The Krypto128 card is based on the second generation of MPPA processor called Bostan which combines high computing performance with real-time processing and low power consumption. The card can replace up to eight Xeon processors to cut costs. Kalray started back in 2012 by integrating 1024 digital signal processing cores on a single chip to provide the same performance as FPGAs. The Bostan chip integrates up to 288 C/C++ programmable CPU cores and 128 crypto co-processors with a fully deterministic and real-time architecture. The company is aiming at two main markets with its Krypto128 card. The first market concerns storage computation pipelines, which include algorithms such as compression, encryption, erasure coding and integrity checks. This computation pipeline can be found at several places in the data center, either in the main server, if SSDs are attached to it, or in the storage proxy I/O server - or even in the all-flash array cabinet storage server. In any of these cases, this suite of computation on the data before writing or after reading to or from the SSDs requires numerous cycles of the main processor and can be offloaded easily on the Krypto128 PCIe card. A key advantage is that the Bostan chip is fully programmable in C and C++ so that customers can easily use a wide range of algorithms such as AES256/126, Sha256/128 and CRC32. Depending on which algorithm is implemented, performance of up to 60Gbits of bandwidth can be achieved. "Kalray is fully committed to offering solutions to our customers that help them to quickly introduce SSD technology, with all its latency benefits, into their data center," said Eric Baissus, CEO of Kalray. "And, more importantly, this gives them the possibility to scale up the technology in a cost effective manner." The Krypto128 card is a single width, full height, half-length PCIe programmable card with 16 lanes of Gen3 PCIe and typically consumes 25W.